Last week in the US, I bought an Amazon Echo Dot. It might have been an impulse buy, but it turned out to be one of the smartest investments I’ve made in some time. 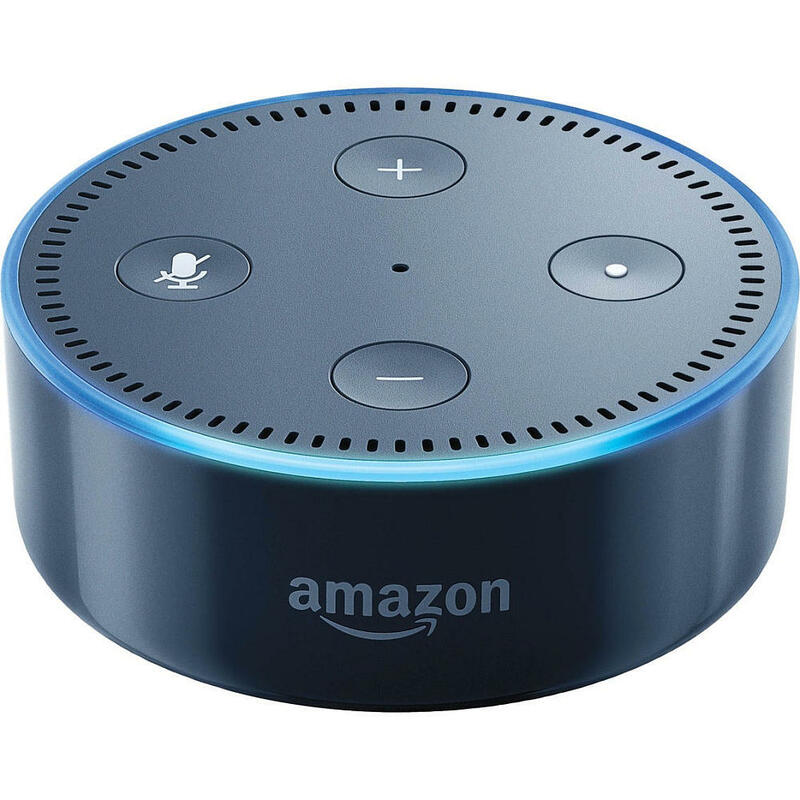 The Echo Dot is a small round puck-like device that contains Amazon’s AI assistant and microphones that can pick up voice commands from across the room. The Echo Dot is about the size of a coffee mug cut in half. Its looks seem to be drawn from the KISS (Keep It Simple Stupid) school of design. Its cylindrical body is only interrupted by sockets for an aux audio out and power. Atop of the Echo Dot is where all the action happens. As well as LED status indicators (which provide at a glance visual feedback of Alexa’s status), there are also volume, mute and action buttons (which, given the Echo’s excellent speech recognition, has so far proved to be largely redundant). Underneath lies an array of microphones which can pick up voice commands issued from the other side of the room, and a speaker which allows the Echo’s AI alter ego, Alexa, to respond to queries. 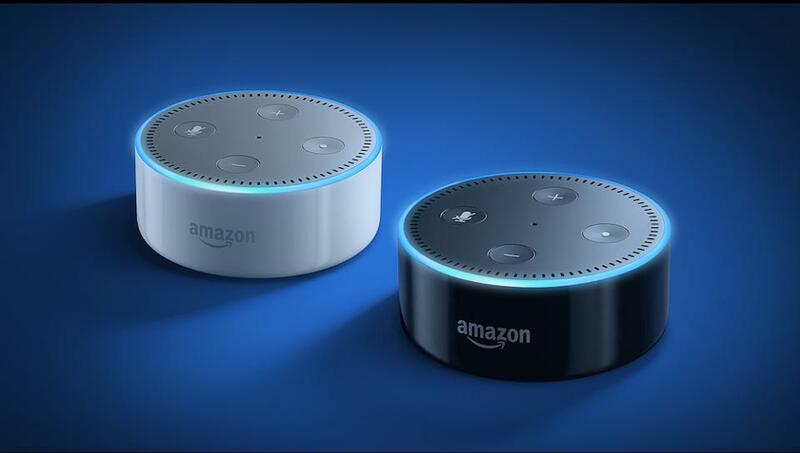 The Echo Dot is functionally identical to its larger sibling, the Amazon Echo, but sells for around a third of the price. It also offers additional features such as Bluetooth and a line out, both of which are not available in the original Amazon Echo speaker. Setting up the Echo Dot proved to be both dead easy and frustrating in equal measures. Frustrating, because being based in New Zealand meant that I was blocked from getting the Alexa app from the Amazon App Store or Google Play. This was thankfully resolved by temporarily allowing my phone to install apps from unknown sources, and heading to the APK mirror site (do this at your own risk) where I could download and install a copy of the Alexa app onto my phone. Once the app was installed, Alex sprang to life, greeting me with her eerily realistic human voice in a twangy US accent. (You can also choose a cut-glass UK accent). The clever bit with the Echo Dot comes in the form of skills developed by third parties. There are over 15,000 different skills available, and these greatly extend the capabilities of the Echo Dot, allowing it to perform all sorts of crazily cool tasks its engineers probably never envisaged. The chief frustration with the Echo Dot revolves around not being able to tell it that I live outside the USA or the UK. While I could get Alexa to use metric measurements, the Alexa app only recognises US/UK street address (which need to be used for more accurate weather forecasts). Issuing a voice command to Alexa sees the outer edge of the Echo Dot’s top glow blue (it is normally yellow when Alexa is in standby). As Alexa processes your command and works out how to best respond, the Echo Dot’s glowing blue top edge displays a spinning animation. The multi-colour LED indicators provide a useful visual guide to where Alexa is at. Speech recognition is always a challenge for New Zealanders, as most speech recognition systems are designed for US or UK accents. That said, Alexa’s accuracy was outstanding, despite my quirky Kiwi drawl. The Echo Dot listens out for a ‘wake’ phrase you set in the Alexa app. By default, it is ‘Alexa’, but it can also be set to almost anything (Star Trek geeks often choose the word ‘computer’). In short, unless you’re the proud owner of a particularly thick Scots accent, the Echo Dot should have little to no problems recognising your verbal commands. Out of the box, Alexa can handle a multitude of basic queries ranging from telling you the time for anywhere in the world, setting timers, giving weather results and telling terrible dad jokes. Adding a bunch of skills using the app allowed Alexa to read me a personalised news briefing, through to playing music from Amazon Prime or Spotify (or streaming radio from TuneIn). Skill developers are also not without a sense of humour with ‘yo mama’ jokes, ‘who farted?’ and other comical skills also available. Using the Echo Dot feels very sci-fi like. I can issue commands from the other side of the room, and Alexa recognises my commands and can accurately respond. The real killer feature of the Echo Dot is its ability to integrate with existing home automation products. 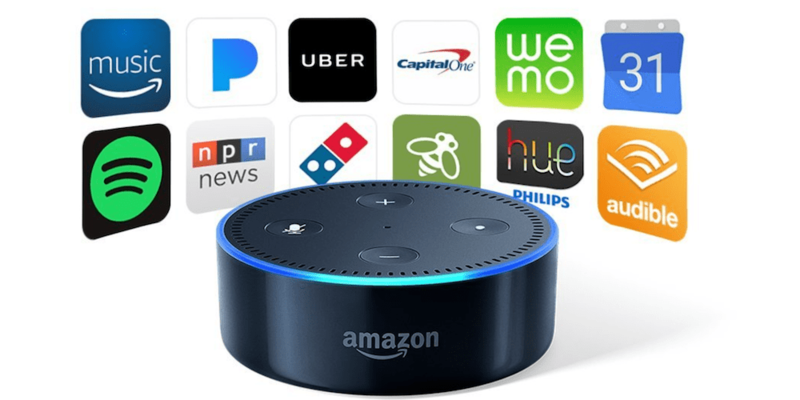 Philips Hue lights, the Nest Learning Thermostat, D-Link smart-home gear and Belkin’s WeMo widgets can all be controlled via the Echo Dot by saying “Alexa turn on the lights in the lounge” or “Alexa set the heating to X degrees”. Having put Sonos multi-room audio gear throughout my home, I’m also looking forward for Echo/Sonos compatibility, which is due later this year. Fancy home automation aside, I’ve found Alexa to be a very capable kitchen assistant, being able to convert Fahrenheit into Celsius, tell me me how many teaspoons are in a tablespoon, set timers and read aloud recipes. Alexa keeps me focused on food preparation when cooking. The Echo and Echo Dot can be purchased from Amazon and shipped to New Zealand, while some local parallel importers also carry them. It’s a fantastic way of enhancing home automation gear in any home. All told, the Echo Dot it is a smart move by Amazon. By making the original features of the already successful Echo speaker available in a smaller and more affordable widget, Amazon have crafted one of those all too rare must-buy gadgets. I’ve found it to be be both bomb-proof and insanely useful. Because of this I’ve given it my first 10/10 rating of the year.